The title of this magazine pretty much sums it up. Alaska is a huge state with a lot of fishing options available, from ocean going vessels to the sole hiker in the mountainous wilderness. 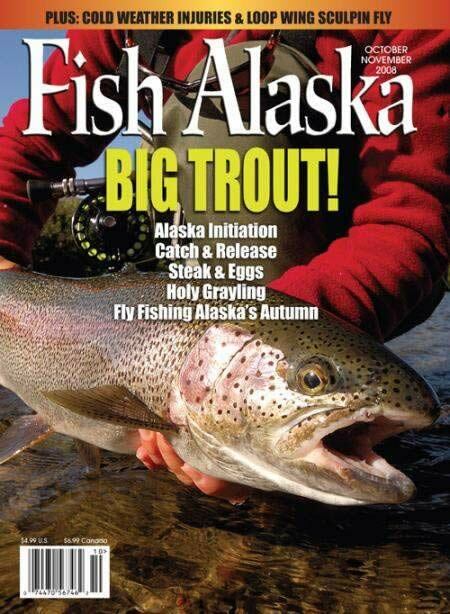 Fish Alaska covers it all at one time or another. Species in Alaska include: Steelhead, Halibut, Arctic Char, Sockeye Salmon, Rainbow Trout, Northern Pike and the King Salmon, which is also Alaska's state fish. Tackle is obviously an important part of any fishing experience and Fish Alaska covers tackle very well, from the technical side to the practical aspects. Fish Alaska understands that an individual walking miles to fish in a secluded spot does not want to carry tackle or equipment unnecessarily, but they want to have options available to them as well. 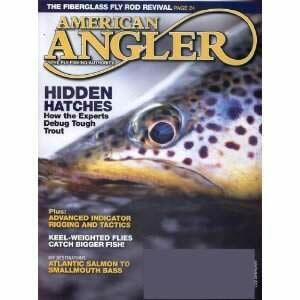 Recipes to prepare the fruits of your fishing labors are in every issue. Fish Alaska also does a lot on trip planning. Many people travel great distances to fish in Alaska and usually a fair amount of planning is needed and required. Alaska has over 3000 rivers so the choices are abundant. From a cast that is taken from a roadside to the private charter flight to a remote locale, Alaska has a lot to offer the fisherman.